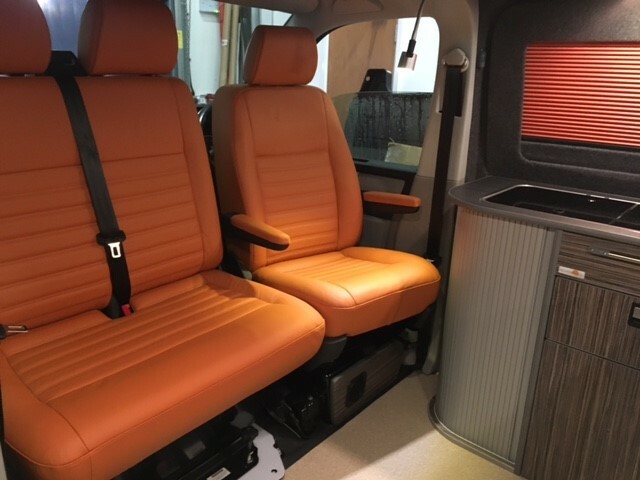 We have various seating options for your van from rock and roll bed systems to caravelle track systems. 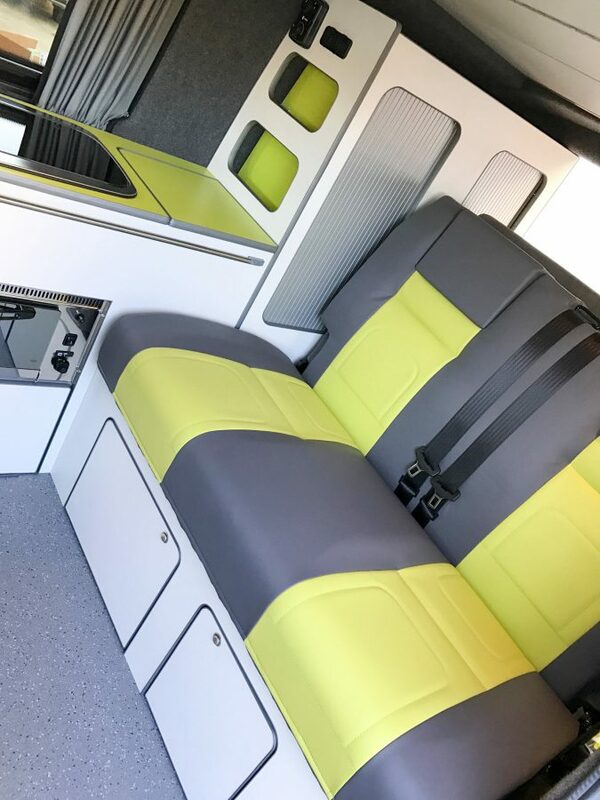 The RIB seats are our most popular version of a crash tested campervan seat for all vans. 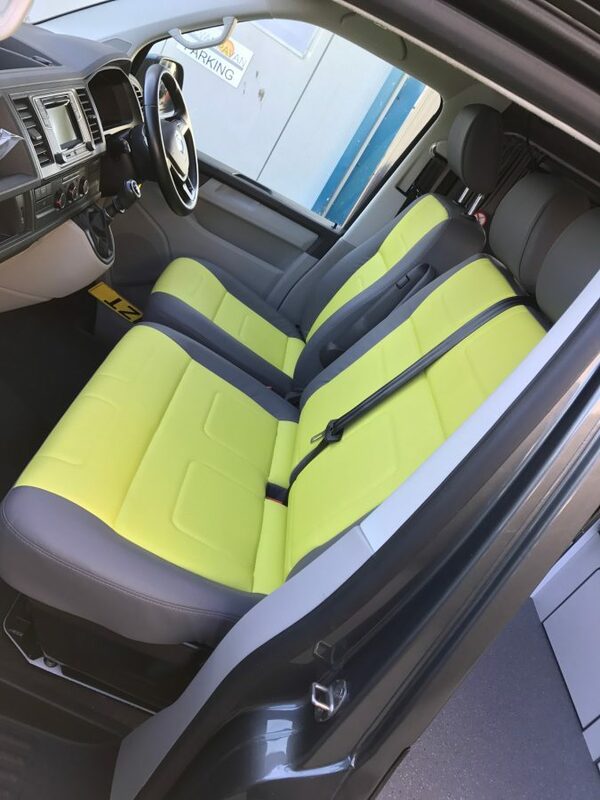 They have a slightly different design to the Smartbed with head rests, comfier seats and the advantage of the sleeping surface being different from the surface you sit on which results in a much comfier bed. 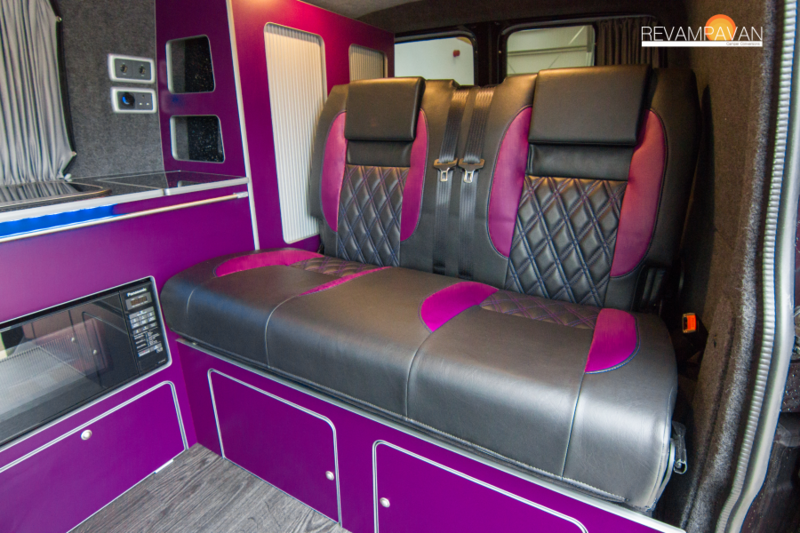 They can come in a variety of upholstery to match your van or custom upholstered to give you a more unique style. The RIB seat is also very easy to use. We can reupholster most seats in an almost limitless selection of styles and finishes. From real leather, faux leather and fabric. All available in hundreds of different colour combinations. need advice on SEATING OPTIONS?